I bought Electric Warrior from my mate at school. The cover was a wee bit damaged and stuff and I don't know why he was selling it, but I was happy to have it. Not only was it the first album that I owned, it also began, for me, that culture of individualising your musical taste and separating it from that of your parents and the rest of your family. You sat in your room, put the thing on and took in everything that there was to take in. It, and probably three or four other records that I'll mention, appealed to me because, suddenly, I was hearing sounds that I had absolutely never heard: in this case the way Visconti has the guitars and the strings arranged on there for example. 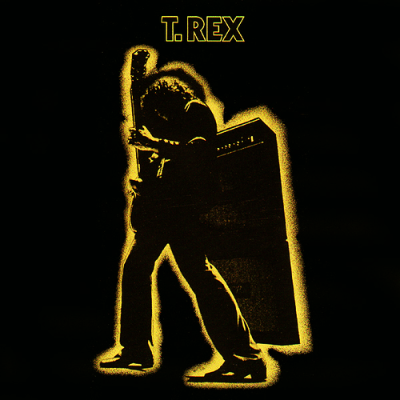 Although I realised later that a lot of T. Rex was kind of Chuck Berry riffs, blues and a bit of R&B, slowed down, it occurred to me that T. Rex somehow straddled two worlds. They were undoubtedly pop - the domain of girly magazines, but they also had these riffs that arguably became future heavy metal riffs. That combination of sound and image just had no precedent for me.